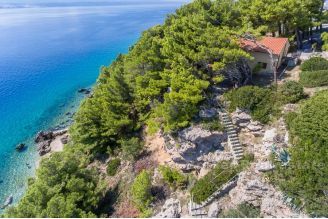 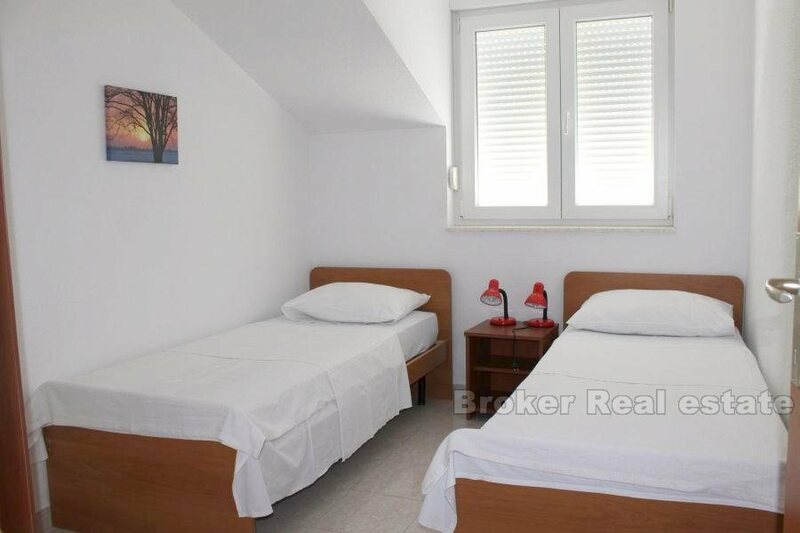 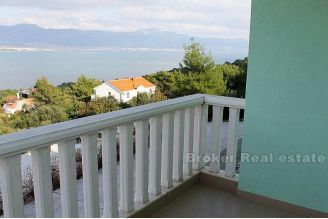 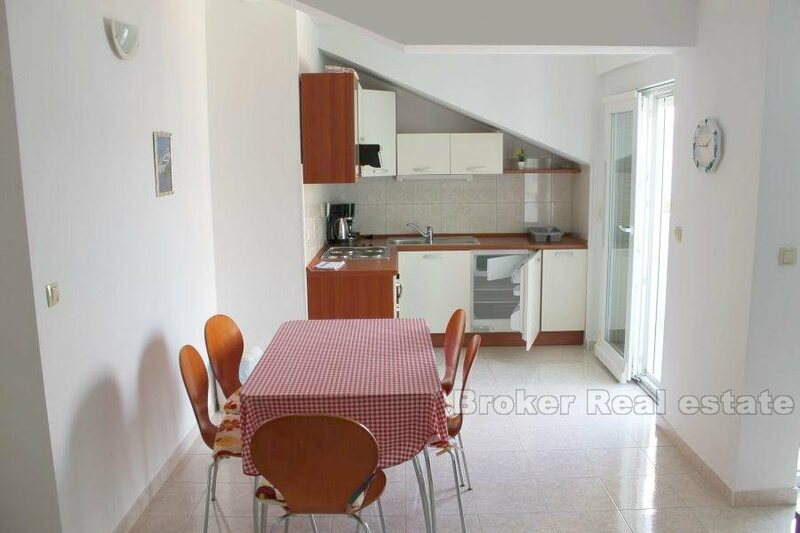 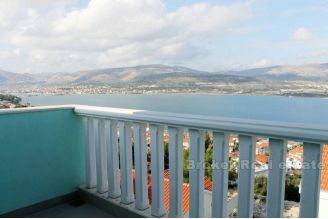 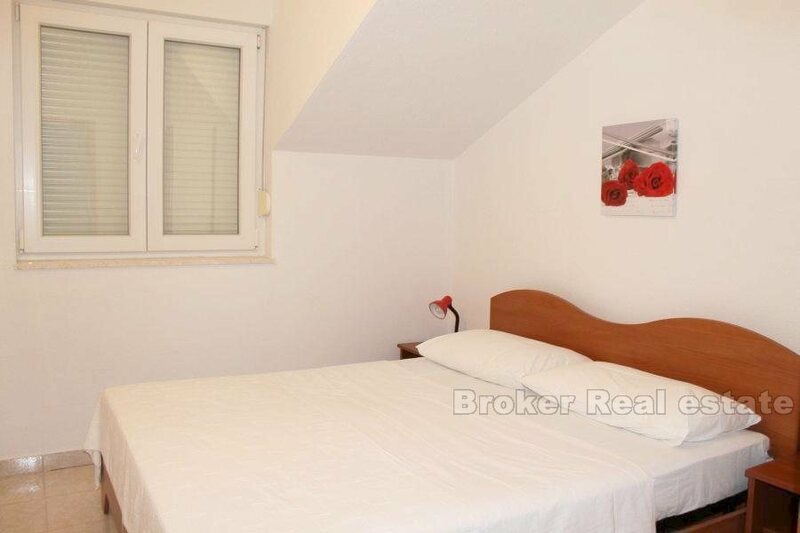 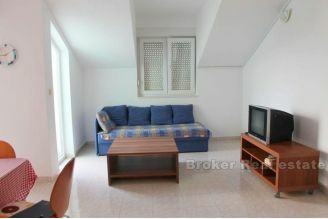 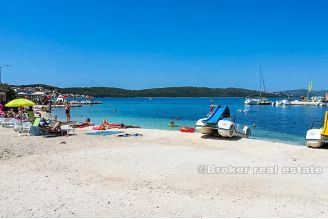 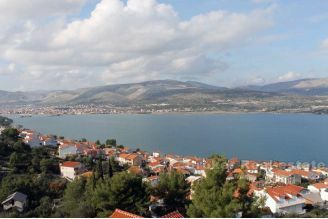 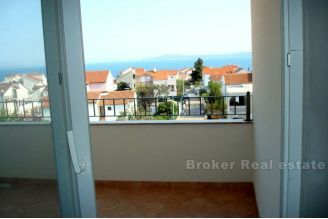 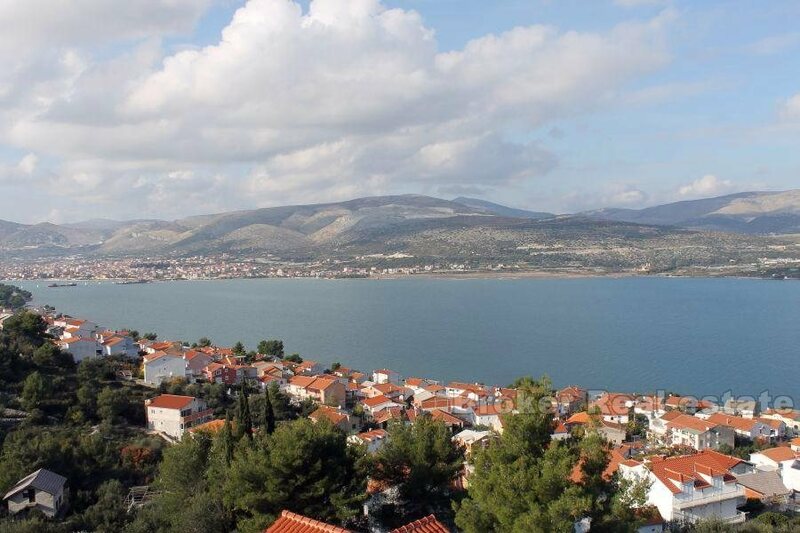 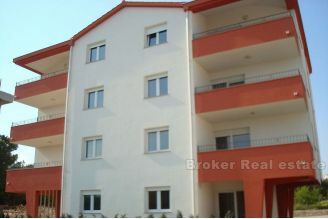 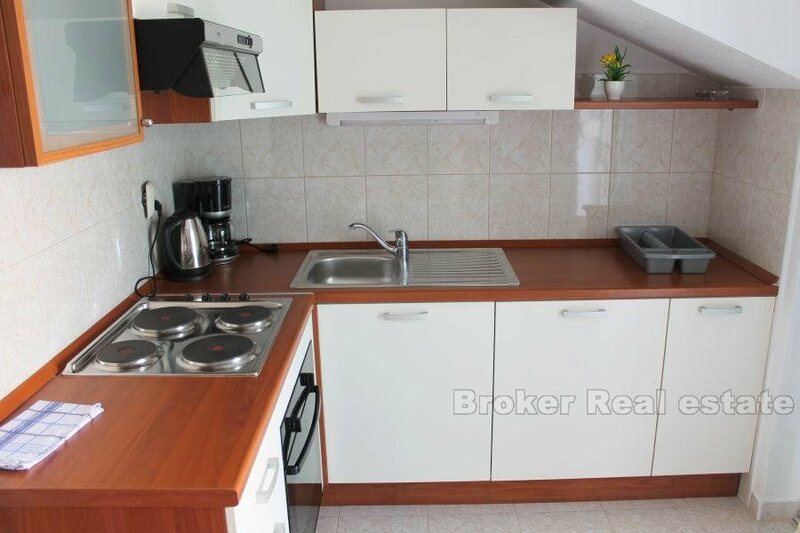 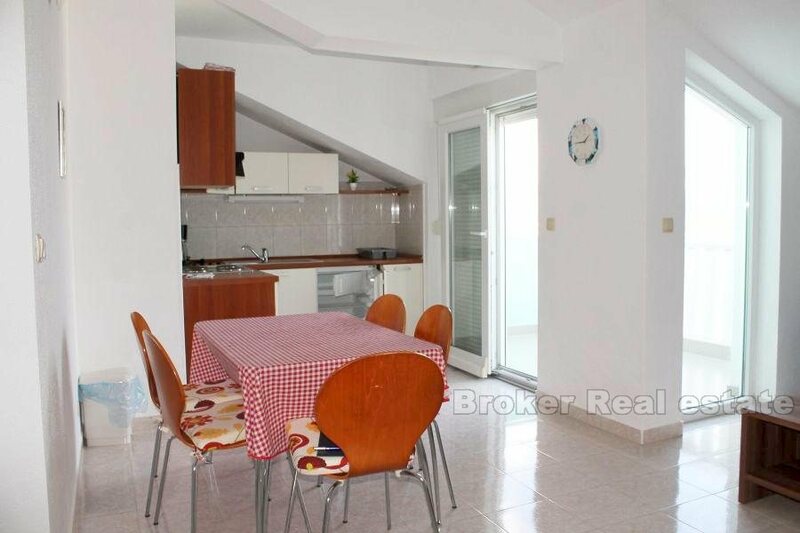 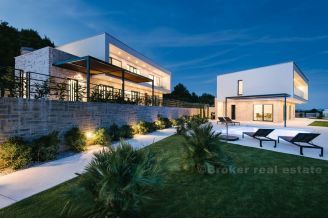 Comfortable two-bedroom penthouse, located on the third floor of an apartment building on Ciovo, overlooking the sea. 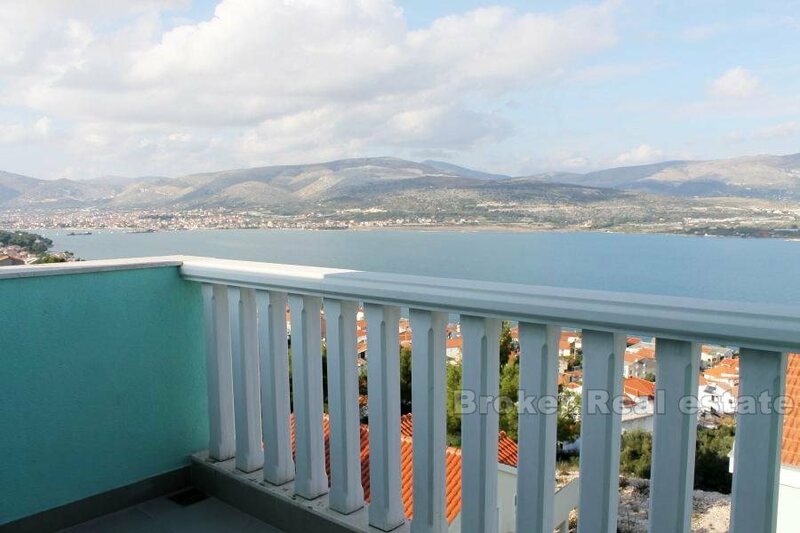 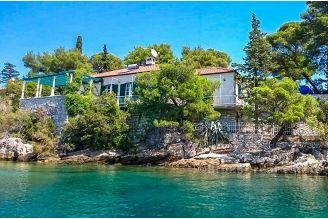 The apartment has two bedrooms, kitchen, dining room, living room, bathroom and a balcony with a beautiful sea view. 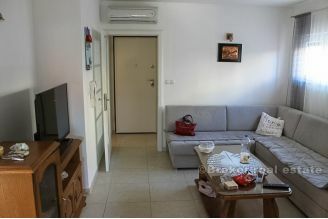 Also, the apartment has access to a common pool for all residents, as well as a parking place.